Cheap Cabins In Helen Georgia: Our Least Expensive Cabins, Planning An Affordable Trip, & How To Have Fun On A Budget! You wanted to take your significant other on a vacation for a long time, but your finances have always been tight. Theme parks are too expensive for your family trip and are not quality time friendly. Where can you go to create great vacation memories without draining your pocket book? If quality time in the fresh mountain air is what you seek then a north Georgia cabin rental is a solid decision. With plenty of fun and outdoor activities in accommodations it’ll be more fun than a dull hotel, waiting in line for rides, and spending troves of money. The luxuries offered at our cabin rentals may seem like they cost a pretty penny, but when you break down the expenses, you’ll actually save money. Here’s how. You don’t have to pay for any restaurant meals. Since our affordable cabins have a full kitchen, you can make all your own meals without spending an extra dime. You’ll experience more savings if more people stay with you. There are cabins with up to five rooms, so bring your family or friends along and split the bill. You don’t have to leave the cabin to have fun. At our properties, your in the middle of a tranquil environment where you can take a dip in the nearby waters, hike along trails and observe nature from deck. If you do want to explore outside, there are affordable and nearby attractions including tubing, fishing, hiking, canoeing, and gold panning. This is a quick tease of how else you can maximize your stay and minimize your spend. In the following comprehensive guide to maximizing your dollars in the north Georgia mountains, we’ll explore the following topics to help you find, select, plan, and have an amazing affordable cabin rental vacation. Why Choose A Cabin For Your North Georgia Getaway? 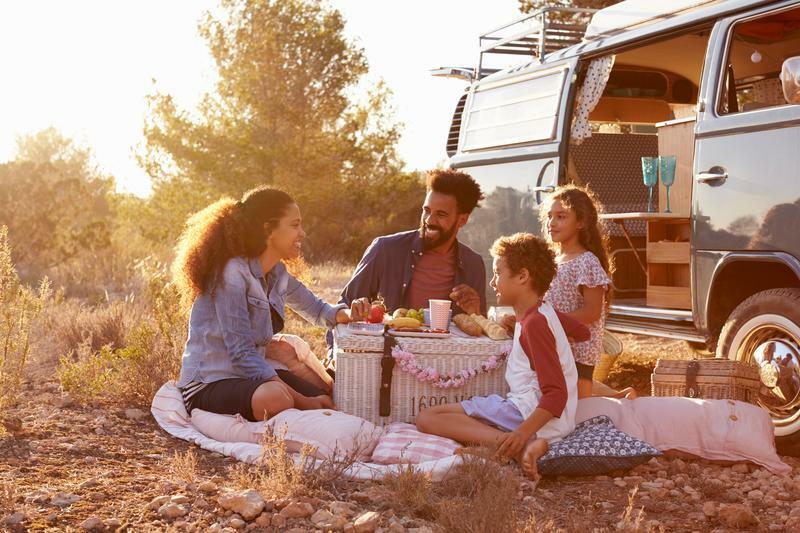 While you might think you can't afford a luxurious and fun-filled vacation this year, we have a few tips to show you how you can. In fact, you may be very surprised at how far your can stretch your dollar when you choose to spend your vacation in the Helen area. Let’s start by exploring why a cabin getaway is worth your while, especially as compared to a hotel stay. Out of all your getaway options, you might be wondering why choose a cabin vacation in the first place. There are numerous options, but many of our guests expressed the following as reasons they embrace the cabin retreat. When you think of affordable cabin rentals luxury doesn’t likely come to mind. You may imagine a musty, run down shack in the woods. Now erase that image from your mind, because the rentals at Cedar Creek are not only highly affordable, but are also fully equipped to meet your every need and desire. 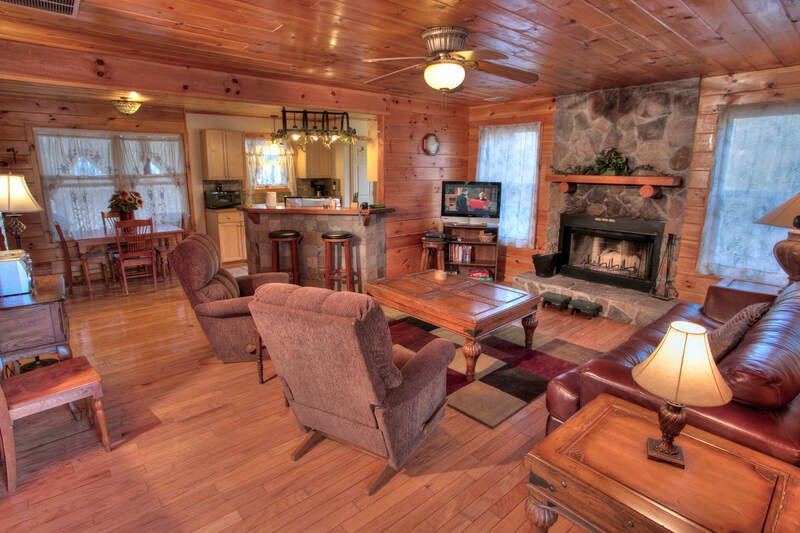 At Cedar Creek Cabin Rentals we strive to make your stay as comfortable and cost-efficient as possible. Located just a short drive north of Atlanta, the northern Georgia mountains are the ideal place for families and friends to come together to enjoy a little R&R. Not only is the area filled with exciting things to do and see, but the trip can be worked into any budget. One weekend in the cabins will reinvigorate your spirit without burning a hole through your wallet. Helen area cabins are surprisingly affordable. Although a lush cabin is certainly a bit pricier than a standard hotel room, when you consider what is included in the cost, it is extremely reasonable. When you stay in a hotel, you are typically required to share one mid-sized room with your entire family. For your family to spread out, you would have to book multiple rooms, or a large suite, which would be considerably more expensive. Renting a cabin actually costs less than reserving multiple hotel rooms, and is much more comfortable. Renting a cabin holds some distinct, cost-saving advantages & benefits over a traditional hotel or resort. Thes savings and benefits includes space, meal savings, close to nature (and the city), free fun, and no extra cost for luxury. Let’s explore these benefits starting with meal savings. Most cabins, including those at Cedar Creek Cabin Rentals, have either a full kitchen or a kitchenette. By making use of this feature, you can avoid ten dollars per person hotel breakfasts and save your dollars for a special night out at one of the many restaurants in Helen. Having a kitchen on hand is also convenient for a quick snack when you're outside hiking or enjoying the north Georgia landscape. Or host a fun cooking competition or a wine and cheese tasting party. This fun activity will also cost you less money than going out to eat for every single meal during your vacation. One of the biggest complaints by travelers who stay in hotels is the total lack of space available. Cramming your whole family into a two queen bed room with one dresser and one bathroom is no way to relax on your vacation. Within the first day of your trip, you're sure to be getting on each other's nerves as someone is always "hogging the bathroom" or "hogging the covers". If you have a large family, a cabin can save you from having to spend money on renting two or more adjoining hotel rooms to accommodate your brood. In addition, you'll likely spend more time in the cabin (rather than out spending more on entertainment) since the typical cabin has plenty of room to spread out. Even the pricier hotels can't offer you much in the way of space. Cabins, on the other hand, are a true "home away from home". Say 'goodbye' to kitchenettes and 'hello' to a fully equipped kitchen and dining area. Ditch hotel "suites" for a spacious living area and game room. The best part is that everyone can have their own separate bedroom. What's not to love? Although cabin rentals promote privacy, they also promote togetherness. The whole group can come together to play pool or foosball in the game room, toast marshmallows around the fire pit, or watch movies in the family room. Then at night, Mom & Dad can retreat to their own separate bedrooms, and all of the kids can enjoy their own space by either having their own bed, or even having their own bedroom. The most luxury that an affordable hotel can offer is usually something like a mini-fridge, pay-per view, and a public hot tub. This is why people go really crazy over the amenities included in our cabins. 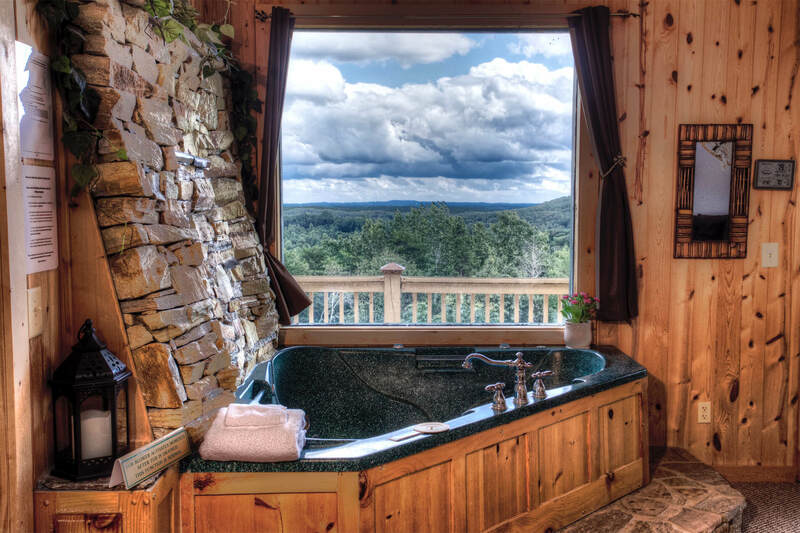 Private hot tubs and Jacuzzi baths are a vacationer's favorite, so all of our cabins come with one. You could spend a few hours there and around the patio, just chatting with your friends and family. 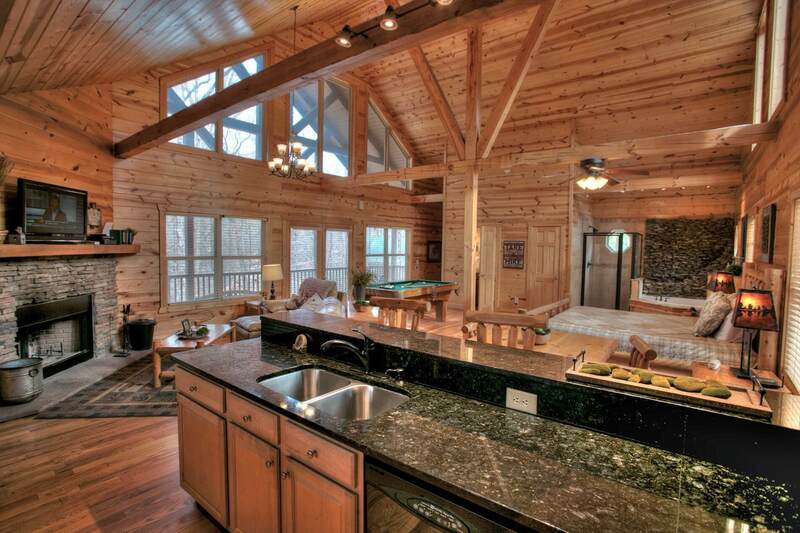 If you prefer competition over easy conversation, find one of the cabins that have a game table. Play a serious game of pool with your vacation partners. 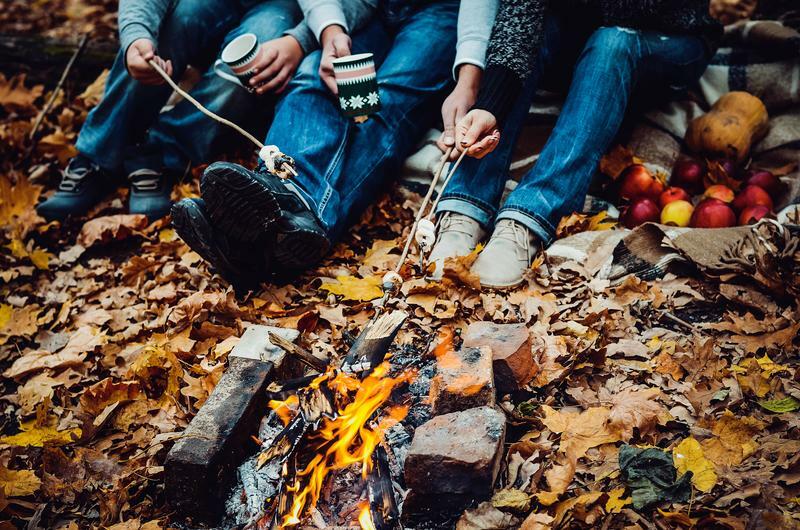 You can also choose cabins with fireplaces for ambiance, fire pits or barbecues for grilling out or roasting marshmallows, flat screen TVs, and more. Oh, did we mention that you can customize your view? Whether you'd prefer the sights of a wooded glen, a peaceful creek, the gorgeous mountains, or even a waterfall, you'll be able to enjoy the scenery from your own wrap-around porch or patio. Even though there’s so much to do and see in the area around Helen, you can easily spend several hours (or even an entire day) in your cabin, just relaxing and enjoying a lot of free activities. With most cabins, you don't have to drive (and spend money on gas) to enjoy the outdoors. What's more, you don't have to settle for a parking lot view like you do at so many hotels. You're just steps away from hiking trails and some of the most beautiful scenery in the south. With a cabin, you get a view of the woods and the mountains beyond. Spending some quality time in the fresh mountain air is one of the best and free ways to enjoy the area! Together you can explore the vast timberland forests, discover creeks and waterfalls, and look for wildlife that is indigenous to the area. Bring a bird or insect guide along with you and see which different types you can spot on your journey, or create a wilderness scavenger hunt for the kids in your group. You can enjoy a picnic while admiring the fall foliage or make leaf rubbings. Your cabin will be in the middle of the beautiful mountains and you’ll be able to wake up to the sounds and sights of nature. Meanwhile, the city of Helen is just a short car ride away, and for some, just a leisurely stroll away. The charming city of Helen will liven up your days and your nights with its excellent shopping, delicious restaurants, and great beer selections at bars. Also, the city often has various events, such as the well-known Oktoberfest celebration in the fall. The sky is literally the limit when you take the time to be together in the great outdoors near our vacation cabin rentals. Helen, Georgia is best experienced this way! Does luxury have to be expensive? We all work hard to make a living and sometime we forget how to live in the process. If you feel life has lost the joy it used to have and you don't feel as vibrant and alive you used to feel, it’s time to get away from the office for a well-deserved family vacation or romantic getaway to reconnect with loved ones. Whatever and however you choose to do it, you will find it can restore the vibrancy of life. Escaping to the mountains for a quiet getaway in a cabin rental can be priceless, in every sense of the word. Choosing a destination, lodging, entertainment, dining and attractions can be exhilarating. It can also be a huge strain on your checkbook as you begin to calculate the total cost of the vacation. Before you surrender and give up on expensive vacation planning consider simple ways you are able to save money. Establishing a working budget is a great first step to saving money on your next vacation. Prioritize what is most important to you and how much you'll spend on entertainment, meals, attractions, transportation, and lodging. Once you have a clear picture of what you can spend and how you'll allocate your money you're ready to plan a cost saving vacation! Whether you live in Georgia, the southeast, or East coast, you’ll want to first decide on where to go. 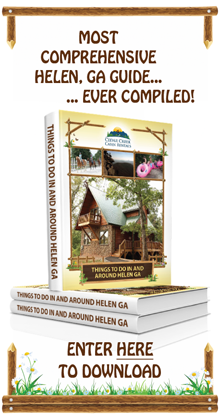 If you’re interested in exploring the historical German Alpine village and the nearby mountains of North Georgia, Helen is your place to go. And you can go right into the heart of the city, or to numerous nearby towns (Cleveland, Hiawassee, Blairsvile, & Clayton) and locations (Unicoi Park, Sautee Nacoochee, Smithgall Woods, & Toccoa falls). For many of you, north Georgia is only a drive away. If your family lives on the east coast, driving to Helen will run you much less money than a plane ticket. You can redirect that savings towards more adventures during your vacation. How about a day of ziplining through the mountains or a relaxing float down the river on a tube? Finding affordable cabins in Helen is dependent on location, a price determining factor. If price matters more, you’ll want to plan out your trip, what you plan to do, and explore the less expensive options. Rentals in the city of Helen Georgia will have the highest cost. If you’d prefer to be further out in the country and pay a smaller fee, cabins further out (10-30 minutes out) are your best best. If you know ahead of time what activities you are most interested in you can choose the cabin based on proximity. For example, if you are hoping to escape to several vineyards near historic Dahlonega Georgia, you should select a cabin close to the Georgia Wine Belt. This will help you cut down on gas costs and travel distance. Several of our cabins are adjacent to one another for large groups vacationing together. If you need facilities for a large group it's a great idea to choose cabins that are close in proximity to one another.This prevents you having to travel between cabins and will save both money and time. We all know that traveling in airports nowadays is not fun and the costs are high. Ever lose a bag? Spend $15 for a hamburger and a coke or sit in lines waiting for your delayed flight? By the time you pay for your cab, parking, airfair, wait in traffic at the airport, in line at security, in line on the flight, in line on the runway, you are halfway to Helen Georgia from anywhere in the southeast, and the savings from not buying your family plane tickets likely just paid for your cabin. On Arrival you can save precious time. There is no need to drive back and forth between a hotel room and the great outdoors. When you stay in an affordable luxury cabin, you will always be steps away from all the thrills and beauty that the Helen area has to offer. Many of cabins are all located within close proximity to the Alpine village of Helen and all of its nearby attractions. You'll waste less time driving and consume less gas when you are situated in a cabin in Helen. When you plan your visit to the city of Helen Georgia, you’ll have the choice to select multiple cabin rental companies. Like ours, each one will offer different pricing tiers, amenities, and customer service. To know if Cedar Creek Cabin Rentals is the right pick for your rental, it’s helpful to dive into the why we started the company since you’re looking for a rustic sanctuary where you can relax and explore. In fact, our founder, Tom Telford, relates. Years ago, he was searching for the same thing, and eventually he found peace, comfort, and a little adventure in a Helen Georgia cabin rental. After it changed him in a profound way, he committed to helping others find the same, launching Cedar Creek Cabin Rentals. We want you to always have a relaxing retreat within reach, where comfort, quiet, nature, and nuance all come together for an unforgettable experience. We also believe every detail of your stay is important, and our team works hard to ensure your vacation is as perfect as it can be. We want you to rest your body and mind because we believe it will change you for the better. On a practical level, all of our cabins offer fully equipped kitchens, hot tubs, and high speed internet. Many include pool tables, Jacuzzi tubs, wood-burning fireplaces, and HD TVs. Our one, two and three-bedroom cabins sleep up to ten people comfortably. Remember, getting away for a weekend with the kids doesn't have to cost a fortune, and Cedar Creek Cabin Rentals offers several ways to make that happen. A cabin is primarily priced by size, bedrooms, and the number of guests it can sleep. Before you choose a cabin make sure you identify the amount of space your group will truly need. Booking an oversized cabin may provide more space but it will also come with a higher price tag. And who wants to pay for space that may not be utilized? Additionally, many cabins have per person charges for guests over a set number. Investigate all your options to make sure you aren't overpaying and choose a cabin that perfectly fits your group. If you’re traveling with a large group, our cabins are your best bet at keeping everyone together. As a bonus, when everyone chips in for rental costs, everyone pays less. Since they say that bigger is better and you’ll save some extra money, bring your friends along when you visit Helen! When you compare the total cost of staying in a hotel room for several nights with the rental cost of a cabin rental, you’ll find that the two amounts are similar. Now, think about the space that you get with a hotel room: a bedroom and a bathroom. If you spend more, you’ll also get a tiny living room, or a suite. Contrast that with a living room, a kitchen, a patio/porch, a game room, and several bedrooms in one of our roomy cabins. Some even come with an acre (or more) of private land for you and your family to roam on. For the price you pay, what you’ll get out of our properties is so much more than what you’ll get with a hotel room. Rentals will cost you just slightly more than a hotel room. Bring a 2nd family to join you and your cost is significantly less (based on 4 hotel rooms). The luxury you could have is a world apart from the Holiday Inn, not to mention a very important feature: The kitchen. Couples will pay slightly more for a cabin but be sure to weigh the total package when comparing. Do you prefer granite, hardwoods, kitchen and oh, did I mention a pool table? Finding the right accommodations for your family vacation can be a big challenge. In order to score a real deal, you usually have to settle for a hotel that is further away from your destination, lacks amenities, or has received low ratings from online reviewers. If you want a nice hotel that's close to all of the attractions but is still clean and spacious, you may find yourself spending double what you would have spent for the more budget-friendly hotel. Wouldn't it be great if you could find a happy medium? That's why the cabins in Helen are a stellar option. Since money may be tight right now, we’ve got other ideas to help you make the most of every dollar. In fact you may be surprised to learn that you can actually enjoy a luxurious getaway while staying in Helen, Georgia. Not only are they less expensive, we also offer a discount on weeknights if you sign up for our email list. When you’re planning your next trip, be sure to plan it through the week to save up to fifty dollars per night of your stay. We also offer two other ways you can save with Cedar Creek Cabin Rentals. Take advantage of our customer loyalty and military discount (with valid documentation) of 5%. To take advantage of our military discount, make not of it in the checkout notes sections. For customer loyalty, use the provided coupon code from your previous cabin departure email for details. For pet owners, it can be difficult to travel since many accomodations don’t allow dogs and the cost to board your pet in a kennel while you are away can be astronomical. Several of our cabins are cleared for pets to stay with their families (for a nominal fee), so you can keep Fido by your side, in your pet friendly cabin, without having to pay hundreds of dollars to a dog boarder. When you need an affordable option, there is no reason to stay at a place that reminds you of the Bates Motel. Our cheap affordable rentals are a great way to enjoy a Georgia mountain vacation on a budget. When you’re dreaming of a vacation but still short on cash, you’ll want to find ways to stretch your dollar and get everything you want out of a vacation. The following tips provide additional ideas for maximizing your spend. In today’s fast-paced society where people spend a large majority of their time working with computers, the internet is a wonderful place for finding and booking cabin rentals. Any serious business or cabin rental agency will have a website. One simply has to Google it and a long list of great deals are at their fingertips. Don’t forget to explore special offers for activities in the area. Another way to find good cabin rental and activity deals around Helen is by picking up the phone and calling customer support. The information should be readily available and someone at the rental agency will be on the other end of the line to offer some great vacation deals that one can’t find anywhere else. While we can’t guarantee anything, if it’s Friday and you want to visit one of our cabins, you could get a kille deal if you call and we still have availability. There’s a huge by waiting until the last minute, but if you’re nearby and could check several slower weekends in a row for an opening, you might just find the best cabin deal of your life. Nestled deep in the Georgia Mountains, close to Chattanooga and the Tennessee border is the little town of Helen. This magnificent town is modeled to remind you of an ancient Bavarian Mountain village in every respect. Finding a "pocketbook" friendly cabin does not have to be a daunting task at all. Here are some of the most affordable yet exquisite cabins that you might want to rent while having your holidays in Helen with Cedar Creek Cabin Rentals. Each of these rentals are lush and filled with amenities that you'll hardly believe you're in a cabin at all. Speckled Trout Cabin is a place that guarantees guests their own private home away from home in cabin rentals in North Georgia. You can enjoy the view of your own private waterfall while listening to the birds in the trees. If relaxation is what you need you can relax in your own hydrotherapy spa on the private screened-in back porch. Other amenities include a HD Satellite TV and DVD player, a Jacuzzi tub, and a wood fireplace for romantic and cozy winter evenings. Find rest and relaxation in Moose Hollow. Just ten minutes from downtown Alpine Helen, Moose Hollow may be just what you are looking for in an affordable vacation. Days can be spent enjoying activities in the great outdoors before returning to your cabin for a relaxing soak in the hot tub on the private screened-in porch. Evenings can be spent playing around the pool table. Puzzles, board games, and decks of cards are even provided for your enjoyment. You can watch movies on the Satellite TV or DVD player, or you can spend some quiet moments alone by the fireplace as the snow falls outside. Moose Hollow is ideal for a relaxing getaway in the North Georgia Mountains. The true allure of the mountains can be found in Allure, just ten minutes away from Helen. One will find the cabin to be the perfect romantic getaway with seasonal mountain and creek views. It has all the amenities of home plus a few others that one might not think they will find in affordable cabins such as a Jacuzzi spa and a hot tub. Unwind in the Jacuzzi after a long day or challenge someone to a game of pool. Romantic evenings can be spent by the fireplace or outside gazing up at the beautiful North Georgia sky. For a little bit of romance and a spectacular view, book Bella Vista, where the mountain view is unobstructed from the Jacuzzi tub which also has the added charm of a relaxing waterfall. The outdoor spa is also an added allure. The distant lights of Helen only serve to add to this cabin’s night-time enchantment. The billiards table is available for an enjoyable game, or you can relax in the glow of the fireplace enjoying each others company. To view all of our cabin’s availability and pricing, simply visit this link. The Gourd Place are also very popular, as are free tours of Habersham Winery and Babyland General Hospital. Tubing down the Chattahoochee River is extremely low-cost, and other budget-friendly activities include bike rentals, Alpine mini golf, and panning for gold. There's something for everyone! Though most of the attractions and activities around Helen are relatively inexpensive, there are also plenty of free things to enjoy! Adult vacationers will adore visiting Habersham Winery which is located in Nacoochee Village. Here you can spend an afternoon exploring the winery and enjoy a complimentary wine tasting. While you're in the area, be sure to visit the Sautee Nacoochee History Museum. Admission is free to this fascinating tribute to the history of the region. You'll discover the legends of the Cherokee peoples who once inhabited the area, learn about the gold rush, hear about the lifestyles of early settlers, and much more! Of course The Gourd Place is another popular destination for visitors to our vacation rentals. Helen, Georgia is the proud home to the oldest gourd crafting business in the country! The gourd museum is a fascinating display of handcrafted gourds which have been transformed into toys, pots, ornaments, utensils, drums, masks, and more! You'll be amazed by the ample hiking opportunities within Helen and its surrounding areas. Regardless of your skill level, you'll find scenic hiking trails that suit your needs just about anywhere. Unicoi State Park, Smithgall Woods, Amicalola Falls, and Tallulah Gorge all offer incredible hiking experiences to visitors. You could even blaze your own trail in the woods surrounding your cabin. All you need is a birdwatching guide and a pair of binoculars and you'll be able to try your hand at spotting some of northern Georgia's native birds, right from the comfort of your cabin front porch. If you prefer, many of the state parks near the rental cabins in north Georgia routinely put on ranger-led bird watching tours. Not far from Helen, in the nearby town of Blairsville you will find Whimsical Fairy Garden. Wander amongst miniature fairy houses that were designed and built by a former Disney Artist. This fascinating spot is a favorite of locals and visitors alike and will please folks of all ages. For anyone who still craves a little bit of city atmosphere during their stay, Helen, Georgia also offers inexpensive restaurants including the following six options. The following six restaurants fall in at a moderate price range. If you’re open to a few higher end meals, check out our restaurant guide to the Helen area. What Low Cost Attractions Does Helen Have to Offer? In addition to the many free activities available in the Helen, area, you'll find that most of the nearby attractions are extremely fun and affordable. The low costs associated with tubing, horse back riding, going on a zip-line tour, panning for gold, and many other favorites are all easy to incorporate into any budget. There are also shops, theaters, museums and craft stores in town that can provide many things to do and see. The town also hosts the annual Oktoberfest celebration each year between September and October. 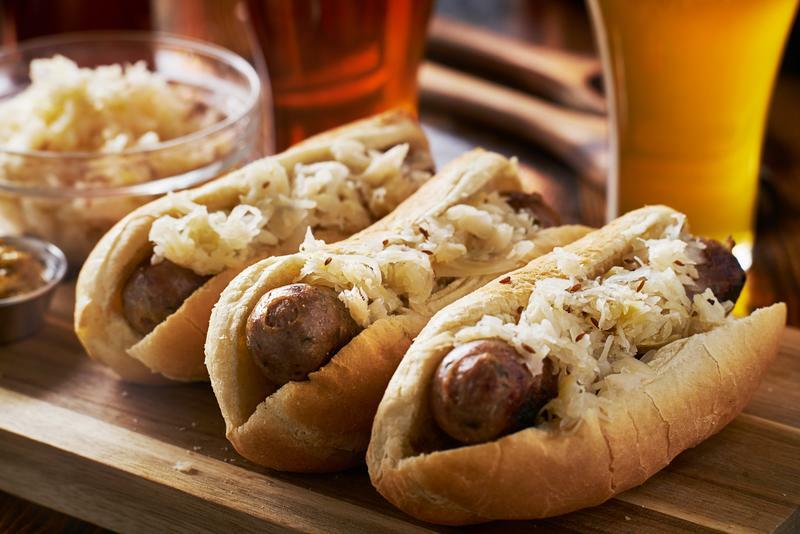 During the popular celebration of Oktoberfest features parades, dances, bands, beer and lots of German baked goods and food. There are several more attractions near Cedar Creek that include golf courses, gold panning and local artists' shops and galleries as well as historic and cultural museums of the area. Be sure to check out our things to do guide to explore these options further. For couples who are looking for a romantic getaway, Cedar Creek is nearby several wineries with wine tours and soothing Spas that offer spa treatments for two. The Mountain Laurel Creek Day Spa and the Nacoochee Crossing Wellness Center both provide relaxation packages while you enjoy the beauty of the mountain atmosphere. Explore our couples resource center for ideas and inspiration on your next romantic getaway. When you look at your total cost of your vacation, you will see that a trip to a cabins in Helen Georgia will be fun, relaxing in nature, and just can't be beat. Are you ready to experience all that the northern Georgia mountain cabins have to offer? What appeals to you most about our luxury cabin rentals? What are some innovative ways you've found to save money on vacation? Your thoughts are always appreciated in the comments section of our blog.